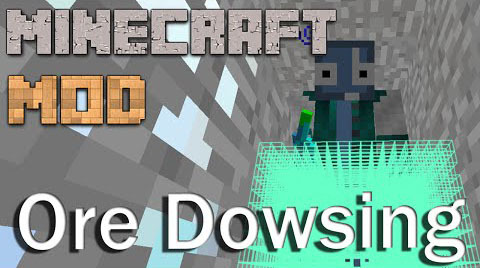 Ore Dowsing Mod makes it easier to find ores and other block by adding to Minecraft world items called Dowsing Rods. 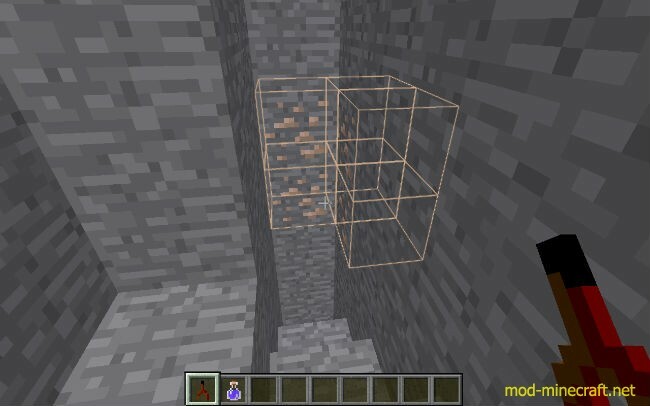 When you right-click with a Dowsing Rod it highlights ores which it finds in a cube around you (sized from 9x9x9 to 17x17x17 depending on the tier). 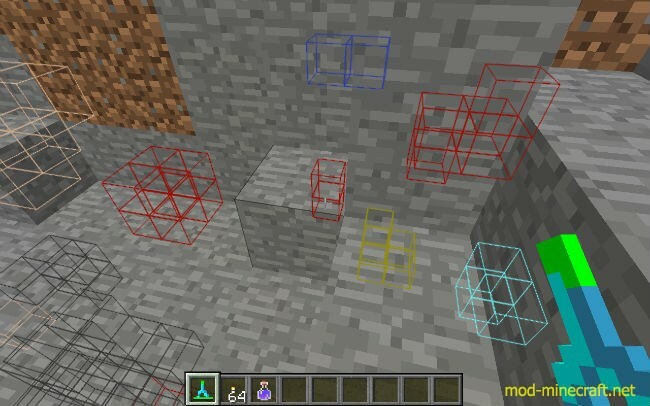 Which ores it highlights are also dependent on the tier.